Christian [with piety]: O Lord, thank you for this apple machine that you have graciously provided for me. I am not worthy of your good gifts but you have seen fit to bless me with it. Christian: Thank you Lord for my apple! You have blessed me SO MUCH! Neighbor [entering]: Hello friend, I hate to bother you, but I have not had anything to eat all day and I have no money to buy food and no job to earn money. I’m so hungry that I can’t even look for work. Do you have any food to share with me? Neighbor: Wow! That is one amazing machine. Now that you have two apples, do you think that you could share one with me? Christian: [looking at the apple] Hmm, actually, I will need this apple for tomorrow. You see, friend, I can’t give away all my apples and not be ready for tomorrow. Why, if I didn’t have this apple for tomorrow then I might have to go around begging for food, too. That’s just good common sense and faithful stewardship, right? Neighbor: I guess that makes sense, but I’m so hungry, what can I do? Christian: Well, maybe you should try praying, that’s what worked for me. Neighbor: [Closing his eyes] Dear Lord, please give me food for today so that I will have the strength to live and serve and work. Neighbor: [With joy] Praise the Lord, my prayer was answered! Now can you share an apple with me? Christian: [with a patronizing tone] I’m sorry friend, but I need this apple to sell at the market so that I can use that money to make this apple machine a little more productive. See, that’s just good business sense. In fact, when my apple machine starts really producing, then I can have enough apples to share with the whole world! If I give you this apple instead of investing it into improving my apple machine, then I’m really just contributing to world hunger, right? Neighbor: I guess that makes sense, but honestly I’m so hungry right now that my brain is a little foggy. Christian [annoyed]: You keep bringing up your hunger and my apples. It’s really starting to become a little offensive to me. I mean, if you understood grace, you would know that I am free from the legal requirements of the law. God loves ME and your constant complaining about how I’m not sharing my food is really just legalism, you see? It’s just adding this burden of the law onto my shoulders. Don’t you think you’re being a little Pharisaical? Neighbor: [starts to cry] I just don’t know what to do. I prayed to God for food and I know that he is good and he hears my prayer. I don’t know how much longer I can survive like this. Christian: [sympathetically] Wow, you really are hungry. And you did pray, but it seems like God didn’t hear you. Neighbor: Don’t say that. I know that God is good. I know that every day, I am able to find food somehow. I have never seen God fail. Christian: I’m impressed with your faith. I wish I had faith like that. Lately, it’s hard to believe that God actually cares about the suffering in the world or… that he even exists. Neighbor: Look at that! Of course God exists! How do you think that you got all those apples? Christian: Well, friend, I have a more enlightened view of things then you do. I once shared your super-spiritual view of reality but you’ll soon learn that that way of thinking is just prosperity gospel. Name-it-and-claim-it! Clearly, there are physical laws in the universe that we can learn about, and use to our advantage to create wonderful things…things like…well, this apple machine for example. Neighbor [looking more distressed]: You mean this apple machine is something that you created by yourself? Christian: [with pride] That’s right, good ol’ fashioned ingenuity, that’s the key to your hunger problem. Friend, the potential for you to have this many apples in your hands is within your grasp, too. You just have to believe in yourself and reach for the stars! That’s what I did, and look at me now. In fact, I’m beginning to wonder if you didn’t get yourself into this whole apple-less predicament on your own because of your lack or self worth. Neighbor [grasping their gut, grimacing]: Please, I don’t mean to sound rude, but don’t you and I worship the same God and can’t you have a little compassion? Do you really need so many apples? I’m so hungry. Christian: Ah-ha! Now the truth comes out! You’re just jealous of my success. You are some kind of whiny, socialist who doesn’t know the meaning of hard work! I’m not going to enable your laziness or subsidize your selfish, materialistic, loser persona. Get a job and quit playing the victim. Christian: Yeah, you heard me. Beat it! Christian: [closes his eyes] Lord, thank you for blessings. I am so glad that have shown your favor to me. In fact, this whole “hunger” conversation has really made me appreciate what you have given to me. In fact, I think I’m going to tweet about this right now. Christian: Seriously? Is there any way to turn this thing off? I’m kind of in the middle of something. Psalm 6: How long, LORD, how long? This weekend, we’re going to sing a song based on Psalm 121 called There’s a Liftin’ of the Hands. 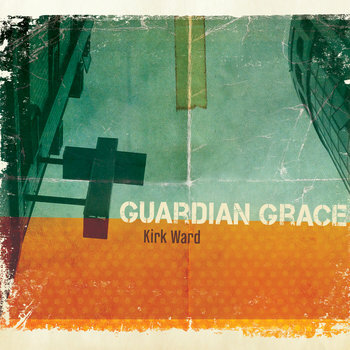 Its a simple song that takes the first verses of the psalm and makes them a prayer and a confession. 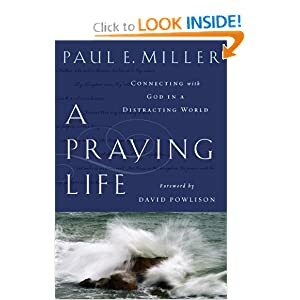 Currently, I’m reading “A Praying Life” by Paul Miller. The chapter I read this morning explored the influence of the Enlightenment and secular worldview on our prayer life. We have bought into the fairly recent idea that subjective things like love and beauty are false and only the objective things like trees and rocks are real. Secular thought has the effect of making prayer a subjective experience and therefore, a mythological self-deception. Despite being “Christian” in our doctrine, we adopt the secular view of the universe and so we never call upon the Lord in faith because we have swallowed the secular lie that no one is really listening. He also goes on to talk about the effect of over-spiritualizing prayer. This means that we over-emphasize the spiritual world and under-emphasize the physical world. Without consideration of our physical world, our prayers fail to touch our lives in a real way. To illustrate, Miller asked the question how can the kingdom come when it’s floating? The cry of Psalm 121 is both a very solid, physical expression of need and it’s a spiritual expression of faith in the invisible God being the source of help. “There’s a Liftin’ of the Hands” has been a healing process for me as I sing it. I have been too often swinging in-between the secular and over-spiritual in my worship and prayer. I need this song to be the cry of my heart, that the Lord is my help. We realize where our help comes from. It’s not the secular view that our help comes from the rational, cause and effect universe. It’s also not the over-spiritual view that my help comes from escape to the ethereal and that my physical needs are not worthy of the cry for help. These are some faithful saints in Lima, Peru that are serving King Jesus. Take two seconds to lift them up in prayer. Here’s more info on their ministry. How Can I Pray More? Is that even the right question? I talk about the need for prayer, dependence on the Holy Spirit, or spiritual warfare, but I fail to pray most of the time. In fact, I am writing this post as a means to procrastinate taking the time to pray. I pray a lot in “public” like with my wife, my kids, at the office, rehearsals, etc. But, I haven’t been pursuing times of intimate prayer with my Savior for a while. What do you do to stay disciplined in this area?